While TSR doesn’t have a physical location in New Mexico, we actually deliver and work with contractors through our El Paso office. From the Farmington to Las Cruces, Gallup to Clovis, and everything in between, we proudly serve the state of New Mexico. We offer a wide selection of trench shoring equipment guaranteed to keep your team safe and your project compliant. Depending on the job, you may prefer using the traditional steel trench boxes or decide to save weight and have greater flexibility by using our hydraulic shoring equipment. We also carry other flexible options like beam and plate, build-a-box, and slide rail systems. Keep the road open during your construction project and keep the transportation authorities happy by strategically using the steel trench plates. We offer traditional, anti-skid, and smooth trench plates and a variety of sizes. If you have a question about the differences, call our El Paso location to learn what’s the best option for you. 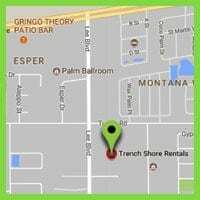 Keep your team safe and compliant with OSHA approved Competent Person trench shoring training at TSR. We understand that the equipment is only part of what’s needed for a trench shoring project. You also need to train your staff up to keep the job running efficiently and profitably. Contact any of our five locations directly to find out more about the classes and get registered or simply learn more about the class outline and certification you receive here. We hate when equipment breaks and know that you do too. That's why we make sure we stock only quality equipment that's job ready. From El Paso to Los Angeles and everything in between, our five locations helps us serve you better. Better quotes, consultation, OSHA training, and faster delivery. Tenemos personal Administrativo, Servicio al Cliente, Gerentes de Ventas y Choferes en cualquiera de nuestras localidades que podran ayudarle en español. Follow the law and keep your guys safe. Our NUCA certified Excavation Safety Competent Person Training Program helps you meet OSHA requirements.